Host crowdfunded, acoustic concerts in your home...with your friends...with your choice of musicians. It's a front row, backstage, VIP experience all rolled into one. Join the house concert movement today! Sign up and host for free! Connect with our national network of musicians and utilize our easy-to-use booking, planning and hosting tools. Create a profile and book your first show today! Sign up and create a profile for free! Connect with our national network of hosts, expand your fan base, and start booking shows! HomeDitty™ is an online platform specifically designed to make hosting house concerts easy and hassle free. It's absolutely FREE to sign up and host a concert in your home. Anyone can do it! Search through our network of musicians' profiles by genre or location. Pick an artist, book your show using our simple booking tool and forward our custom invitation to your friends. All house concerts are private events and are not open to the public. Instead of the host fronting the cost of the band, the system will automatically create a private crowdfund for each host to pool money among friends in advance of the show through an online RSVP process. Hosts also have the option of paying for the cost of the artist(s) themselves. Hosts don't have to worry about collecting contributions or paying musicians as the artists are paid electronically through the platform. All contributions will go directly to the musicians (minus credit card and app fees). Guests can bring their own drinks (i.e. BYOB), snacks (i.e. potluck style), and folding chairs (if needed). HomeDitty house concerts are an intimate, acoustic performance like no other. Your friends will thank you for hosting! HomeDitty enables musicians to bring live music directly to fans. 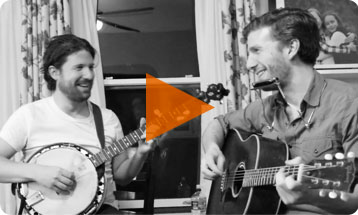 Learn more in this video about the HomeDitty house concert experience directly from hosts and HomeDitty artists, The Cerny Brothers.